This is a series of books that depicts the incidents in the life of an awe-inspiring person, Ambalal Muljibhai Patel. Motivated by a higher level of understanding and moral values, he eventually became the extraordinary the Atma Gnani (Enlightened one) Param Pujya Dada Bhagwan, who changed the world order of spiritualism. In the second book, Ambalal is a young adult. Since childhood, instead of getting carried away by the common mans blind beliefs and superstitions, Ambalal who had an excellent inner intuition and presence of mind, always found a way to overcome confusion in any situation. In this book, several episodes from his daily life illustrate this scientific temperament. 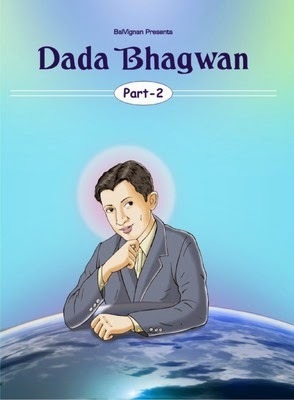 The book shows his incredible capability of reasoning out day-to-day regular incidents, where all such reasoning was supported by scientific analysis.